APPETITE: Expressions of the Politics Encircling Food is a national photography (and popular culture) exhibition investigating the topic of food. Guest Curator and FSU Professor of Art, George Blakely, selected over 150 contemporary photographs by 21 American photographers with national and international reputations to participate in this exhibit produced by The Brogan Museum. The exhibit will coincide with the Society for Photographic Education Southeast Regional Conference, October 21 – 24, hosted by the Department of Art and the College of Visual Arts, Theater and Dance. This conference will draw over 300 educators and students from the Southeast region. Original photographic works of art explore a myriad of concepts regarding food. 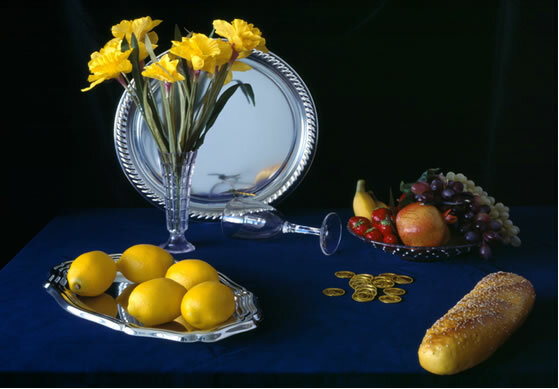 Several artists have created contemporary interpretations of classic 17th Century still life paintings, utilizing traditional as well as modern elements such as fried chicken and cafeteria trays. The context of some of the work includes aspects of food politics, diets, nutrition, and fast food, as they permeate our society through marketing and popular culture. One artist explores a scientific and technical process, known as Kirlian Photography, that uses electricity rather than light to make contact images (of food) on photographic media. Another artist’s photographs recreate the last meals of death row inmates which were published in her book Last Meal. Several artists delve into topics such as eating disorders, biotechnology, food processing, agriculture, and simply food as art. Overall, many of the images evoke a sense of play or engage the viewer in a social commentary. Ultimately, the viewer is challenged to construct their own meaning about the images and to join the current cultural and socio-political discussions regarding the American diet. Last chance to see the exhibition which closes Sunday!